Tomorrow is the final day of Project 365! Yes, it’s actually Day 365. So I’ve got some catch-up to do on posting images, so let’s get started. 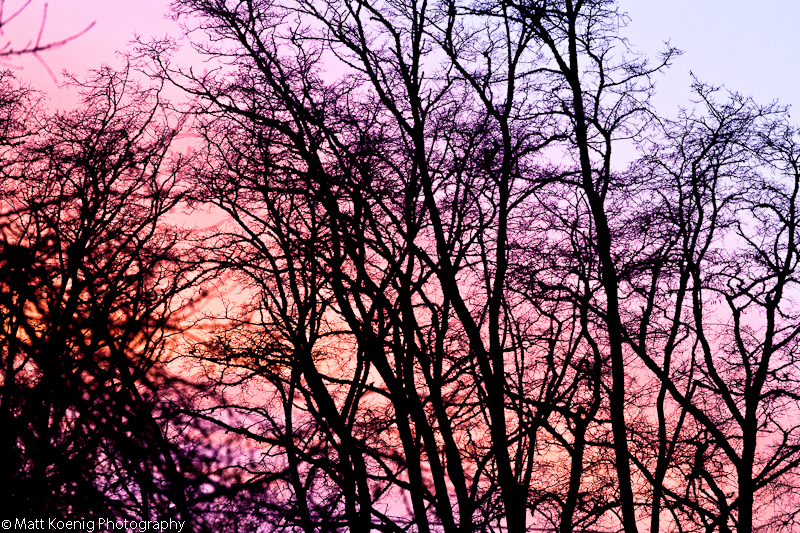 Got home from work just in time to shoot this beautiful sunset through the silhouettes of the trees in our backyard. Asparagus is one of my favorite vegetables even if it does make your pee stink. My favorite way to cook them is to grill them and apply some garlic butter. 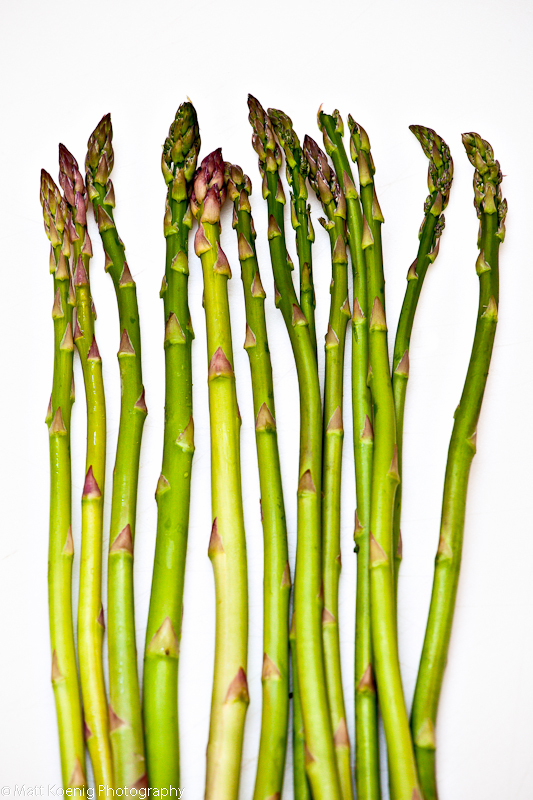 What ways have you eaten asparagus? For this photo I used a Canon 5DII and a Canon 70-200 f/4 lens. I worked the camera on a tripod and used a Canon 580EXII flash with a softbox attached. We took the kids Valentine’s Day shopping to get some stuff for school. 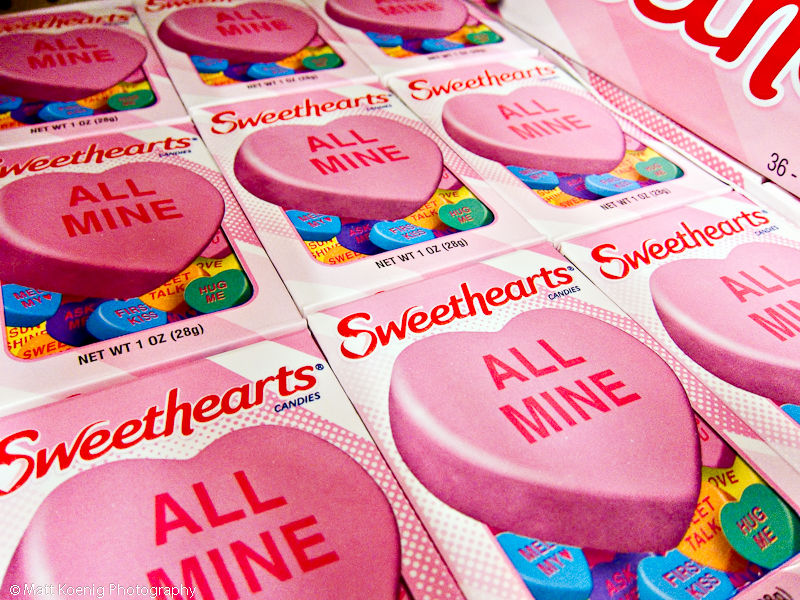 My youngest wanted to get the Sweethearts boxes of little heart shaped candies. “They’re all mine” he said. I absolutely love how this shot came out. The colors and just crisp and bright. I used the same combination as the asparagus image above with the Canon 5DII and 70-200 f/4 lens. 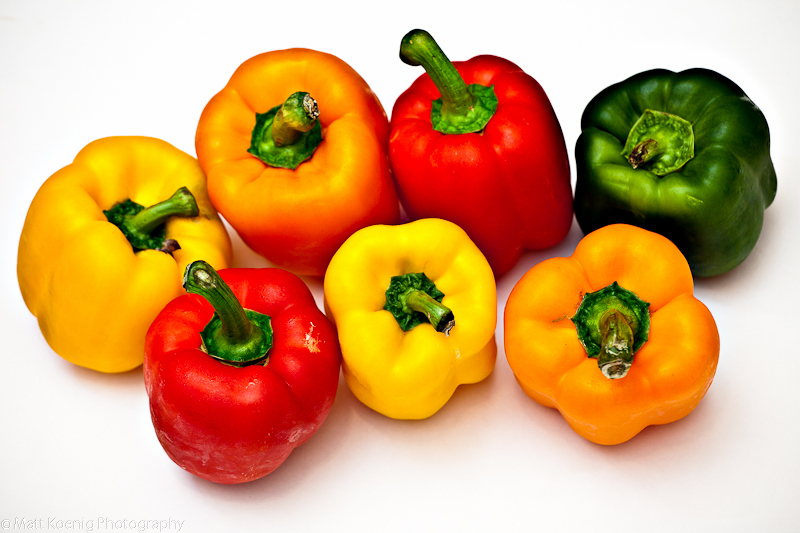 The colors just really pop off the white background (which is just a simple cutting board). I may print this one out to hang in the kitchen. Look for it in the store soon. I was taking a few family portraits and trying to get a few of my two sons together (a nearly impossible thing) and said “Come on guys! 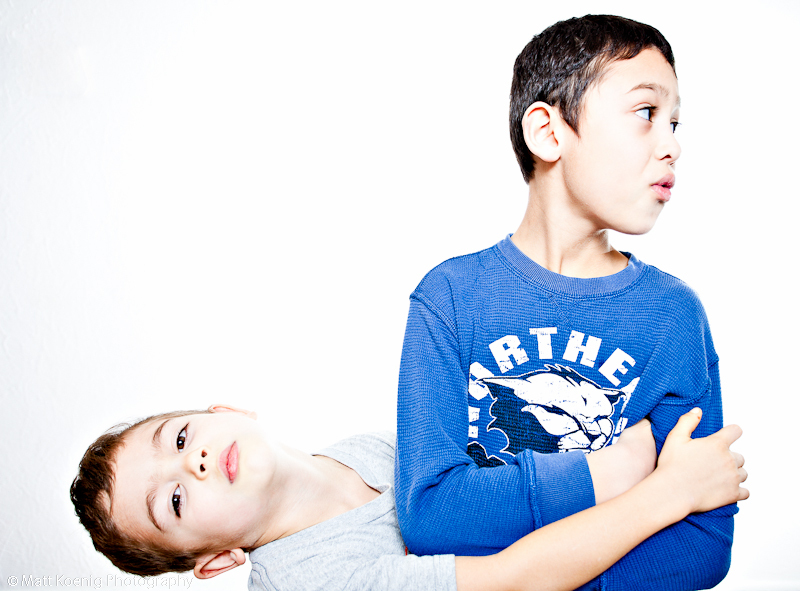 Brothers Gotta Hug!” at which point my youngest started to hug his brother who pretended like it wasn’t happening. 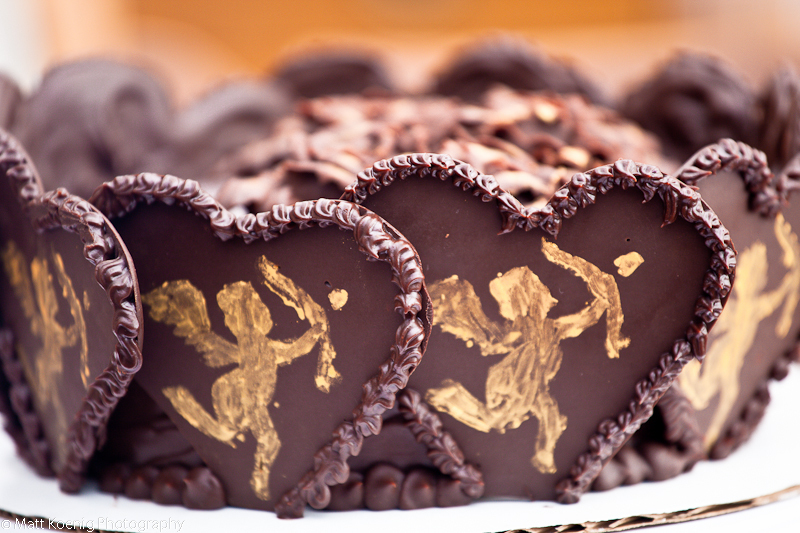 My wife made this chocolate mousse cake and hand made the chocolate hearts with gold painted cupids surrounding the cake. So sweet and tasty. I think it had Bailey’s in it. Check out the next post for the final images before Day 365!